Eclectic rectangle coffee table showcases contemporary style with a charcoal-color wood surface and angular chrome-plated metal base. 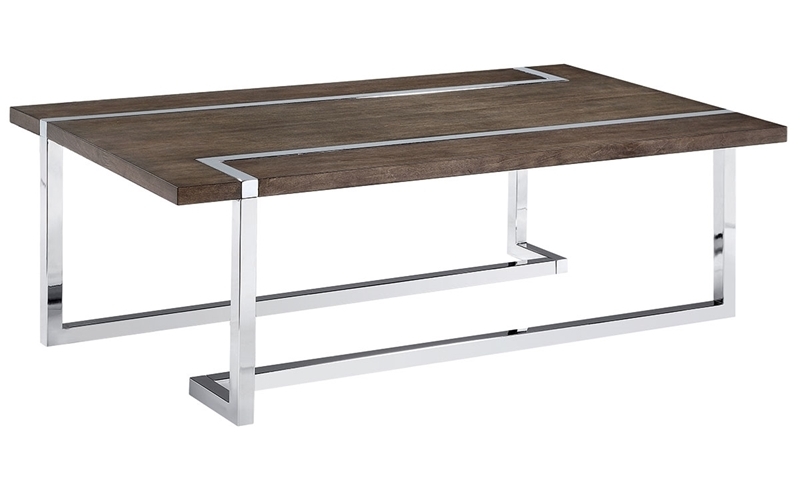 Accentuate your living room with the contemporary flair of the Kieran cocktail table from Magnussen Home. This rectangle table features a 52-inch surface with birch veneers in a versatile charcoal finish. Two chrome-plated L-shaped legs provide appealing contrast to the table top, as well as a sturdy, eye-catching base.